Why Does Your New Mattress Smell Weird? Are Foam Mattresses Bad for Your Health? How Do You Speed Up Mattress Off-Gassing? These days, buying a new mattress is a simple matter of going on the Internet, researching, choosing a product, and then making an online transaction. No driving, no footwork, no showrooms. Just a few clicks, and then a few days or weeks of waiting until your new mattress is delivered straight to your doorstep. Usually, these new e-commerce companies ship their foam mattress variants compressed and rolled up in a compact package. Part of the fun of buying a mattress-in-a-box product is actually in opening it and watching the mattress expand to its full size. However, upon unpacking to allow the foam layers of the product to decompress, you may notice a faint, chemical-like odor—sometimes referred to as that “new mattress smell”. This odor is the result of many chemicals called Volatile Organic Compounds (VOCs) that have finally had a chance to “off-gas” after being built up from being sealed up during transport. The smell is reminiscent of the same odor people associate with new furniture, new cars, or even opening a cans of paint. Off-gassing occurs in many items, and not just foam mattresses. It’s just that the packaging techniques used and the subsequent unboxing process of new mattress products make off-gassing all the more noticeable. Off-gassing is what happens when VOCs break down and are released into the air as emitted gases or vapors from solid or liquid products. VOCs are found in thousands of modern, synthetic, and manufactured products—from household cleaners and wood glue, to carpeting and furniture, and even electronics and some toys and sports implements. While it can sometimes be easy to tell when something is off-gassing, especially when it’s new, it can also be odorless and practically unnoticeable if it’s released in minute amounts. Foam mattresses are particularly known for off-gassing because they often have three main components that contain VOCs: the many types of foam used; the glue that is used to hold the layers in place; and the legally-required flame retardant property, which companies may fulfill through chemical or synthetic means. These VOCs include benzene, formaldehyde, methylene chloride, naphthalene, toluene, trichloroethane, and more. It’s not necessarily foam mattresses, but off-gassing that is bad for your health. Off-gassing is toxic only in amounts that exceed levels that you’re probably exposed to daily. If you’re particularly sensitive to chemicals or very allergy prone, you may find that you react more to VOCs than other people. For most, mattress off-gassing is mainly a problem because of the smell. It’s likely that you’ve been using items with VOCs for your whole life without even knowing it! For example: dryer sheets, laser printers, mothballs, nail polish remover—even some clothes you wear, and non-stick pans that you use for cooking. VOCs are definitely more hazardous when you’re in contact or in close proximity to raw materials, as opposed to when you’re using finished products that are more stable and often subject to health regulations. Do All Foam Mattresses Off-Gas Equally? No, because there’s a huge variety of foams that are used in mattresses. Each will perform differently and have different emission levels. When it comes to mattress foams, look for at least a CertiPUR-US certification. Better but rarer certifications are GREENGUARD, GREENGUARD Gold, and Made Safe. There’s also The Global Organic Latex Standard (GOLS) for latex foams. Why better? CertiPUR-US is run by not-for-profit organization Alliance for Flexible Polyurethane Foam, and gets funding from big chemical and foam companies. We’re not saying that their certification is not trustworthy—just that non-biased entities are more credible and likely maintain more exacting standards. 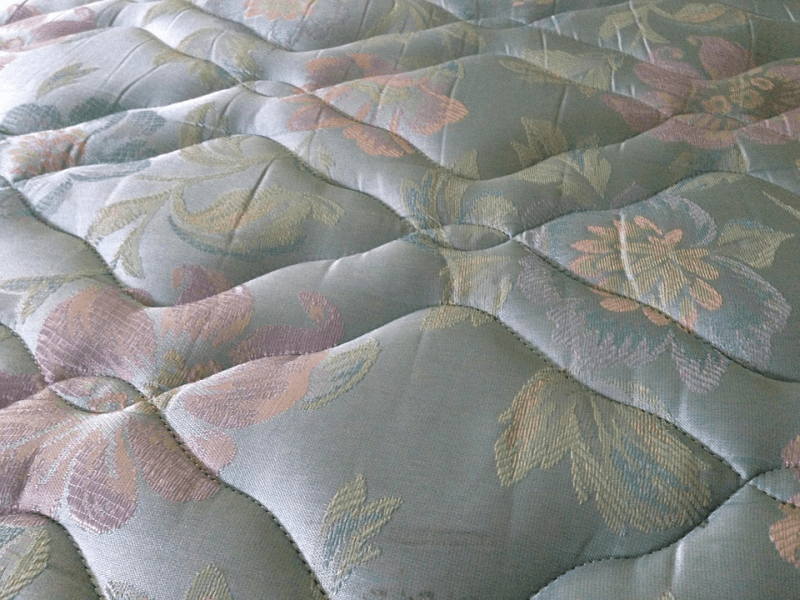 What Are the Symptoms of Toxic Mattress Off-Gassing? Exposure to some VOCs has been associated with a myriad of medical problems: allergic reactions, asthma attacks, congestion, coughing, dizziness, fatigue, forgetfulness, headaches, skin irritations, and toxin buildup in the body. More serious issues like a higher risk of cognitive decline, or developing leukemia or lymphomas, have also been observed. However, don’t throw out your mattress just yet! Some VOCs are safe and nothing more than an odor. The detrimental effects and health risks of off-gassing depend on many other factors, as well. It’s not just your mattress that could be causing the problem. It could be the overall concentration of VOCs in your work and home environment, and both length and constancy of exposure to higher levels of off-gassing. When you buy a new foam mattress—or any foam product, for that matter—the best thing to do is to let it breathe in a well ventilated area. Note that this process will only get rid of the smell faster. Odorless off-gassing can continue for an unknown amount of time. Eventually the emissions will taper off, though. Upon receiving it, do unbox it right away. If you can leave it outside the house, do so; but the area should not be prone to moisture, as this will give rise to a separate problem of mold or mildew. If you don’t have a dry outdoor space, airing the mattress out in a spare bedroom will do. Leave the door ajar and crack a few windows open for ventilation and a cross breeze. A fan for air circulation will also help. How Long Does It Take to Air Out a New Mattress? This process can take anywhere from two days to two weeks–even longer for some products. Remember to throw away the packaging and take into account the fact that the smell may linger in the air even though it may no longer be coming from the mattress itself. Odor can be subjective; everyone’s nose is at a different sensitivity. Some people report that the new mattress smell disappears in hours! Some can’t live with it and end up returning their mattresses and looking for something else to use. Some say that a faint smell resurfaces from time to time. The truth is that most people don’t even notice the smell after a while, even if it is there. Will a Mattress Protector Shield You from Off-Gassing? Some will, but it’s not an ideal solution. These products are typically to guard against bed bugs or staining, and not contain odors. Mattress encasements that are made of breathable material won’t stop the emissions from coming out of the mattress. Ones made of plastic may even off-gas, effectively doubling the problem instead of solving it. Even if you do find a mattress protector that successfully blocks the smell and doesn’t off-gas, it won’t help much. All it will do is allow VOCs to build up! The concentrated off-gassing from the mattress will be released into the air anyway each time you remove the protector for cleaning or replacement. Will Baking Soda Help Get Rid of the New Mattress Smell? Baking soda is a natural deodorizer and it will help manage the odor that comes with mattress off-gassing. You may already know that keeping baking soda in the fridge is a great way to minimize food odors that may accumulate inside. Baking soda is also recommended for removing pet smells from carpets—add water or vinegar, and you’ll be able to remove stains, too. The same principle applies here. If your new mattress still has a smell after you air it out, sprinkle baking soda all over the surface of your mattress. You can use a sieve or sifter for even coverage, but it doesn’t really matter. Let it sit for an hour or two if the smell is faint, overnight if the smell is stronger. You can also check on the mattress from time to time to see if you can still detect the scent or if the baking soda has done its job and absorbed enough of the odor. Use a vacuum cleaner to completely remove the powder from the mattress surface when it’s no longer needed. Should You Consider Alternative Mattress Options? If you are experiencing more than just mild discomfort due to the smell, you may want to look into getting a mattress that is organic. 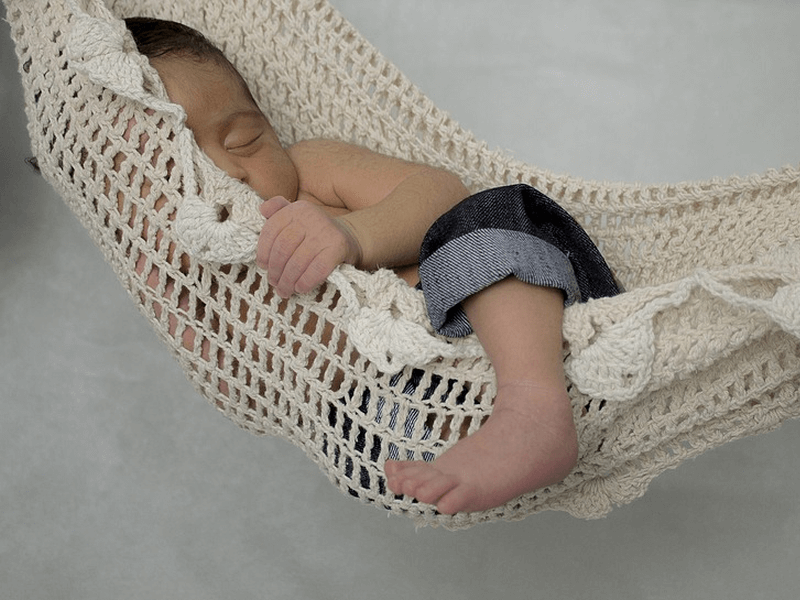 You may also try using a different kind of sleeping surface; like a hammock, straw pallet or a Japanese futon with natural wool or cotton stuffing.